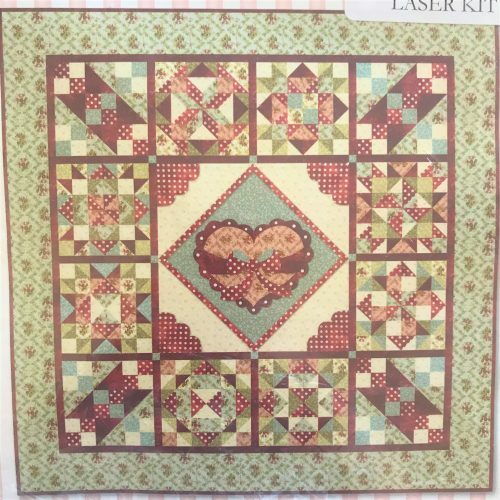 Twelve pieced blocks surround an appliqued center block featuring a heart and scallops.Muted reds, pinks and greens blend together to create this beautiful quilt. A combination of applique and piecing techniques are used.Quilt finishes to 64? x 64?, making it a great size for a lap quilt.This kit contains laser cut applique shapes, so no need to trace and cut your own shapes, the work is already done, and comes with full instructions and material for quilt top and binding.